Rumors that surfaced earlier this month claimed Apple would be removing Ping from the next major release of iTunes, essentially chalking it up as a failed endeavor. 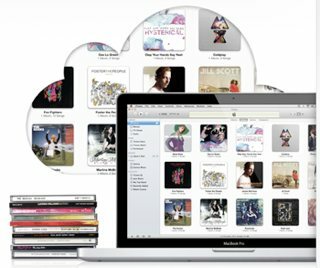 Now we are hearing more rumblings related to the topic, this time suggesting that Cupertino is planning to add new features to iTunes that would facilitate music sharing among friends. Bloomberg says that people with direct knowledge of the matter have told them that Apple is negotiating new licensing deals with record labels that would allow friends to share or recommend full songs with each other, much like Spotify’s service already does. This would be a vast improvement over Ping which only lets users share a 90-second clip of a song with friends. Other new features include deeper Facebok and Twitter integration in iTunes which will let people share what they are listening to. Again, this sounds a lot like Spotify’s ability to stream listening information to a user’s Facebook profile. The publication also points out that Apple will put more emphasis on iCloud with iTunes. This is already evident as the company recently released a dedicated Podcast app for iOS devices, effectively relocating the service from within iTunes. What’s your take on these new features, specifically related to music sharing? Do you like the idea of being able to see what your friends are listening to or do you believe it will only further clutter your Facebook news stream?